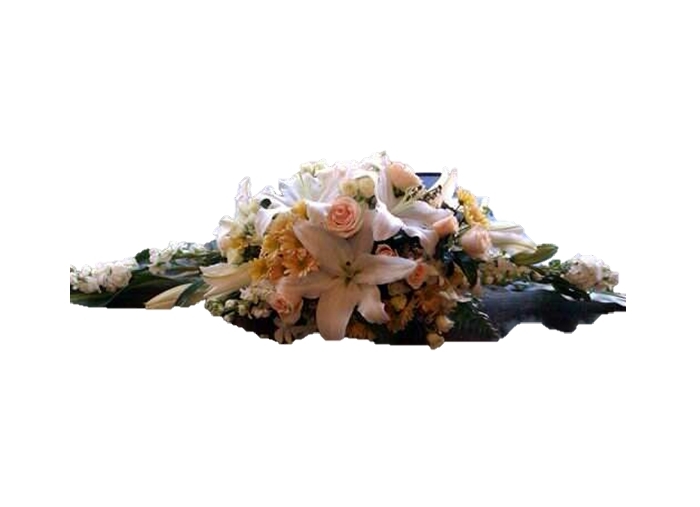 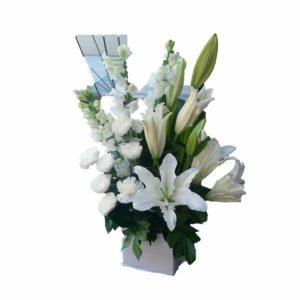 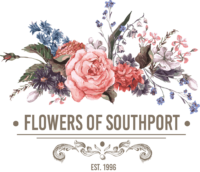 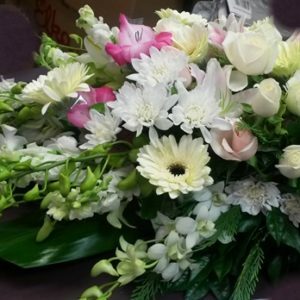 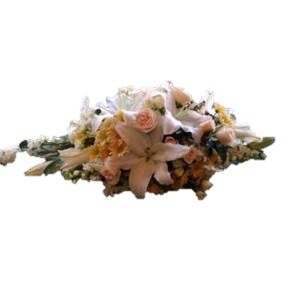 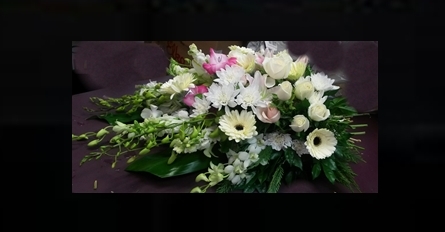 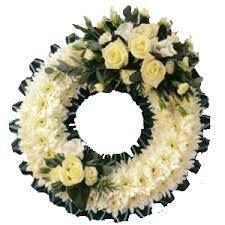 Beautiful coffin spray of lilies, roses, flowers in season, to complement the dignity of the funeral. 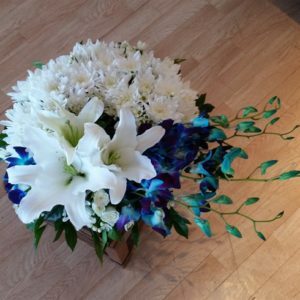 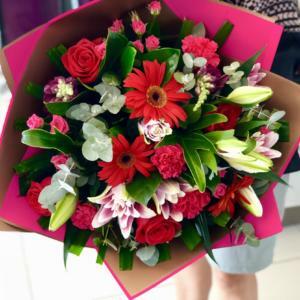 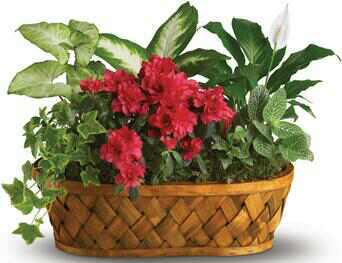 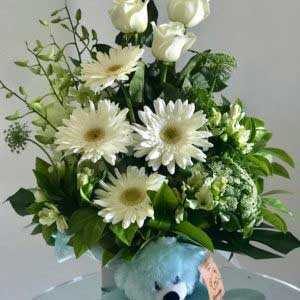 Colours and design can be amended to reflect your wishes. 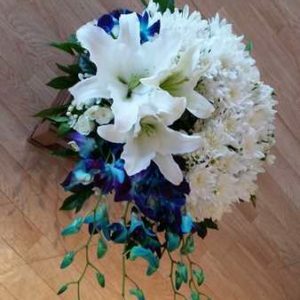 Medium shown.